Description:Gideon Cross. As beautiful and flawless on the outside as he was damaged and tormented on the inside. He was a bright, scorching flame that singed me with the darkest of pleasures. I couldn't stay away. I didn't want to. He was my addiction . . . my every desire . . . mine. My past was as violent as his, and I was just as broken. We'd never work. It was too hard, too painful . . . except when it was perfect. Those moments when the driving hunger and desperate love were the most exquisite insanity. We were bound by our need. And our passion would take us beyond our limits to the sweetest, sharpest edge of obsession . . . 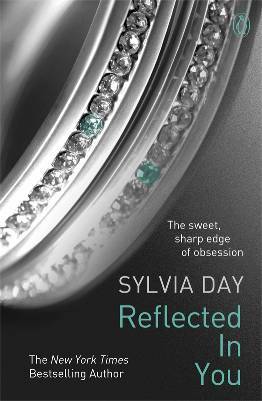 Intensely romantic, darkly sensual and completely addictive, Sylvia Day's Reflected in You will take you to the very limits of obsession - and beyond. "Most suits made the man. Gideon did things to a three-piece suit that should've been illegal." "Expect believe him. Which is what you should have done as his mother."